We're pretty excited about today's Shoe of the Day. 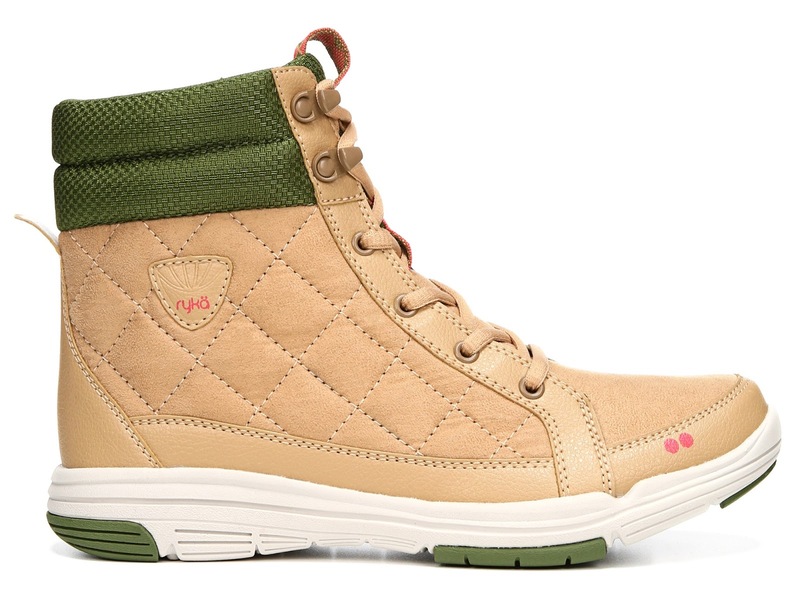 Ever since we saw them at the Ryka fall preview, we've been enamored with this high-top sneaker and boot hybrid. 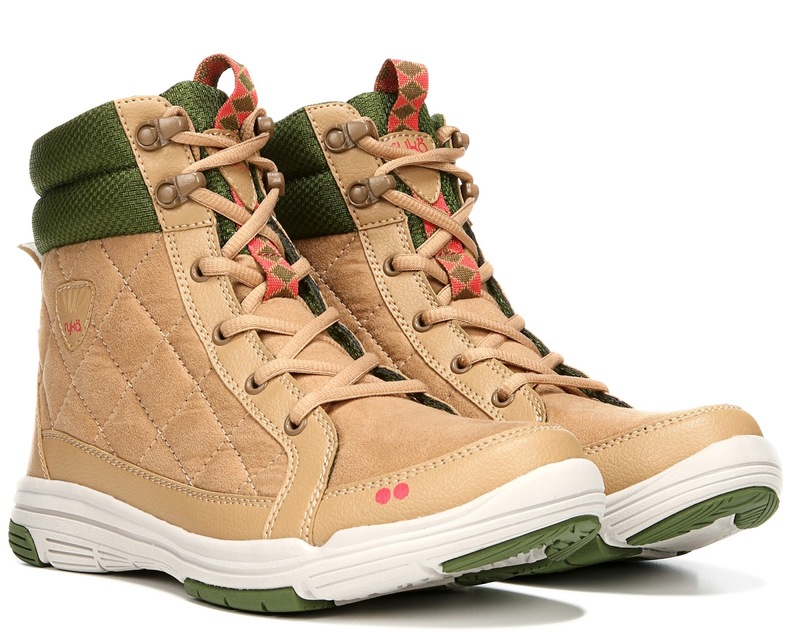 The Ryka Aurora Sneaker Boots not only look cool, they are designed to keep your feet warmer and drier during bad weather, and we're in some some really bad weather in the upcoming season. You wouldn't know it by looking at them but these water-resistant sneaker boots are incredibly lightweight, and I mean incredibly light. 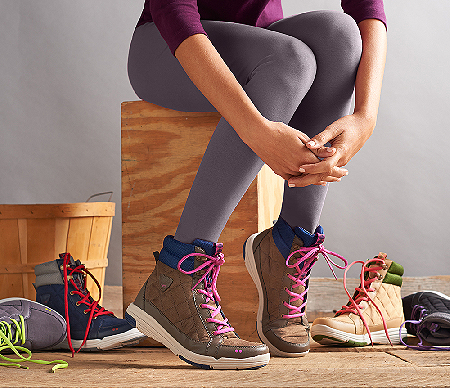 Each pair of the Aurora comes with two pairs of laces, boasts a quilted microfiber upper treated with a durable water repellent, Comfort Surround System technology helps relieve underfoot tension and disperse plantar pressure and hot spots, outsole with durable traction, molded EVA midsole, and an ultra-flexible forefoot. The Ryka Aurora is available in five colors, and is exclusive to QVC at a cost of $61.12 plus $5.00 shipping and handling. We're big fans of a few colors, such as the above tan, and the navy. we need them in our shoe closet asap. What about you my fellow shoe lovers, what do you think of these very cool sneaker boots?